It’s been 15 years since Blitz the Ambassador released his first record, Soul Rebel. Since then he has gone on to produce 7 additional albums, start his own independent label (Embassy MVMT), produce 2 short films, and produced the feature film The Burial of Kojo, which was released on Netflix on the 31st of March, with Ava DuVernay and ARRAY. This interview took place after he screened his film at the New African Film Festival this past March in Silver Spring, Maryland. It was great to sit down again with Blitz, 12 years after I first interviewed him for allAfrica.com in May 2007. Then, he was among the first generation of African MCs making their presence known on the underground scene in the US. In that interview we spoke about how Pan African his music was, and how lyrically, he blended elements of African and the Diaspora. His music has evolved into a showcase of African and Diaspora influences, including collaborations with artists from across Africa and the Diaspora. In this interview we again spoke about the Pan African perspectives and sounds that continue to be present in his music. Blitz attributes much of his outlook to his upbringing, the legacy of Kwame Nkrumah’s ideologies, and his experiences in the Pan African Studies Department at Kent State University. Blitz the Ambassador also talks about his experiences with the entertainment industry in the U.S., and how he has managed to maintain creative control over his music and film projects. In this sense, Blitz the Ambassador is vigilant about the integrity of his work, acknowledging the importance of representation, and of creating your own narratives. Reggie Rockstone is one of the pioneers of hiplife in Ghana. In this conversation, he discusses how as a Pan Africanist, his perspective influenced his participation in hip hop culture in Ghana. He talks about the importance of popularizing the use of African languages through music, and how he helped to popularize the use of Twi in Ghanaian hiplife and hip hop. He discusses the importance of African languages in reaffirming pride, breaking colonial mentalities, and bridging class divides. 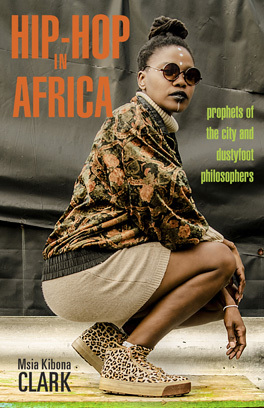 Reggie Rockstone also talks about his own Pan Africanist upbringing, and the impact of his Diaspora experiences, as well as those of his father and African American mother. The episode begins with Reggie Rockstone’s song “Proactive” and ends with his song “Woso”, both on his 2010 album Reggiestration, which is available on iTunes https://itunes.apple.com/us/album/reggiestration/412457159. In this interview M.anifest talks about his return to Ghana and his experiences in both the US and Ghana. As an artist whose music reflects Ghanaian, African, and Diaspora experiences and cultures, M.anifest brings an important level of intellectual complexity to hip hop culture. When I point these things out in the interview, M.anifest says that he does not want to “be an alternative to the mainstream, but to be an alternative in the mainstream”. In the interview M.anifest talks about how his return (& his experiences in both the US and Ghana) has been reflected in his music. He discusses the music industries & creative scenes in the US and in Ghana, African MCs in the US hip hop scene, his impact on the hip hop & music scene in Ghana, and his collaborations with other artists, including the late South African hip hop artist, Hip Hop Pantsula (HHP). In this episode we begin with a look back, musically, at Manifest’s career. We begin with the song “Africa Represent” from his 2007 album Manifestations, then “Motion Picture” from the 2011 album Immigrant Chronicles: Coming to America, and his 2016 single “God MC”. We will end the show with the song “Hand Dey Go, Hand Dey Come” from his 2016 album Nowhere Cool. Wakazi is a bilingual Tanzanian hip hop artist. He grew up in Dar es Salaam, but spent several years in the United States, where he was active in the Chicago hip hop scene. Like many MCs who spend several years abroad, when he returned to Tanzania he had to prove himself on the local scene. He was able to craft his brand, largely by harnessing the power of social media. In this interview, Wakazi talks about his experiences in Chicago, with the local hip hop scene and how his experiences there have impacted his career. He discusses his return to Tanzania, the reception he faced on his return, and how has managed to build his career. Wakazi, who is fluent in English and Swahili, also talks about multilingualism, and the use of other Tanzanian languages in hip hop. Wakazi also reflects on some of the struggles within the hip hop community, some of which he feels is largely due to a lack of mentorship by the first generation of Tanzanian hip hop artists. He also discusses perceptions & understandings of African American culture in Tanzania. Wachata Crew is the biggest, and oldest graffiti crew in Tanzania. With more than a decade of experience, the members of Wachata Crew are established and respected members of the hip hop scene in Tanzania. The members of Wachata are Local Fanatics, Kala Singa, Medi, and Mejah. We met up at their studios at Nafasi Art Space (nafasiartspace.org) in Dar es Salaam and talked about graffiti culture in Tanzania. We discussed the origins of Wachata Crew with WAPI (Words and Pictures) at the British Council in Dar es Salaam back in 2007. Wachata Crew sheds light on how many Tanzanians see graffiti culture in Tanzania and the connections between graffiti and hip-hop culture in Tanzania. Graffiti culture differs all over the world, the members of Wachata Crew talk about the cost and qualities of spray paint cans in Tanzania, v. other places. The artists also discuss their connections with graffiti beyond Tanzania, and the participation of women in graffiti culture in Tanzania.